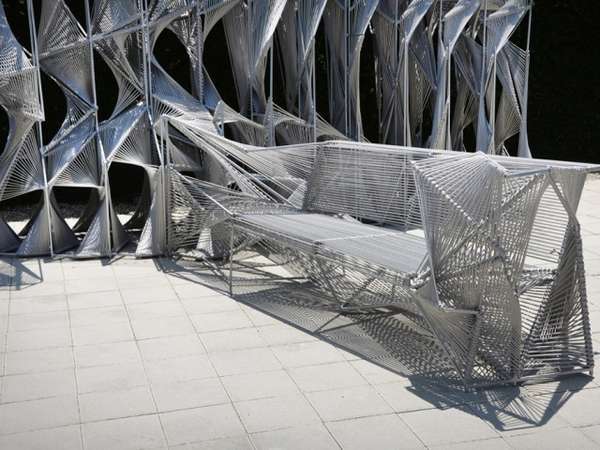 This installation and seating place in one was made of 13700m of woven rope, strung through steel frames. 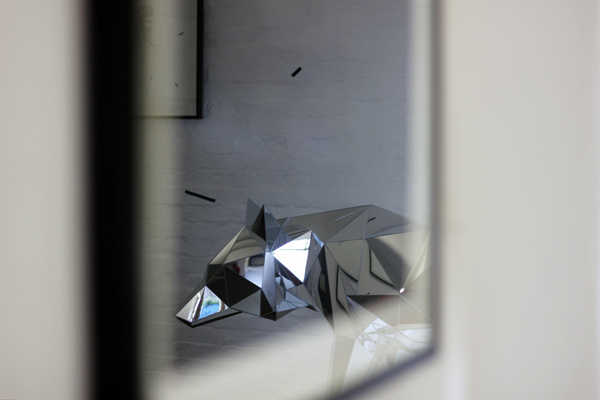 Creating optical illusion, this colossal piece is questioning boundaries of human perception. 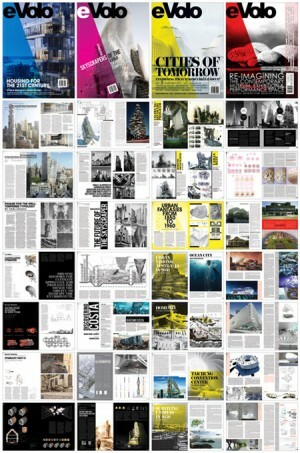 Screenplay was created for this year’s Dwell on Design festival in Los Angeles, by Oyler Wu Collaborative. It is a great pleasure to inform you that we have been named by the WSJ one of the leading independent architecture magazines in the world. We are also celebrating another great year of editorial creativity. To celebrate we are offering all our readers worldwide a 60% discount on the entire eVolo Collection – only 300 sets available. 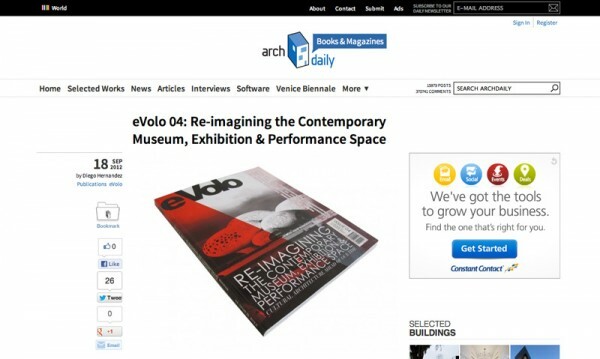 -> Order the eVolo Collection at 60% discount. 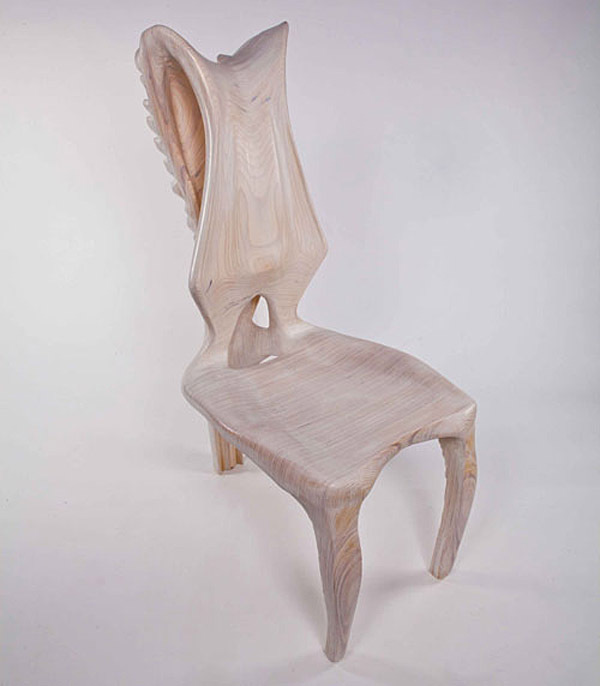 The Exocarp Chair is made using algorithmic design and a 3-axis CNC mill on three sheets of birch plywood. 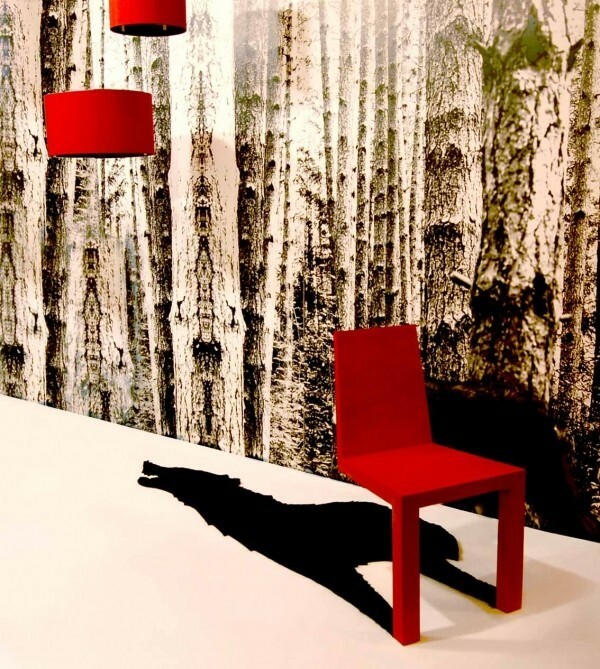 The results show incredible amounts of texture and dimension without even having to touch it. 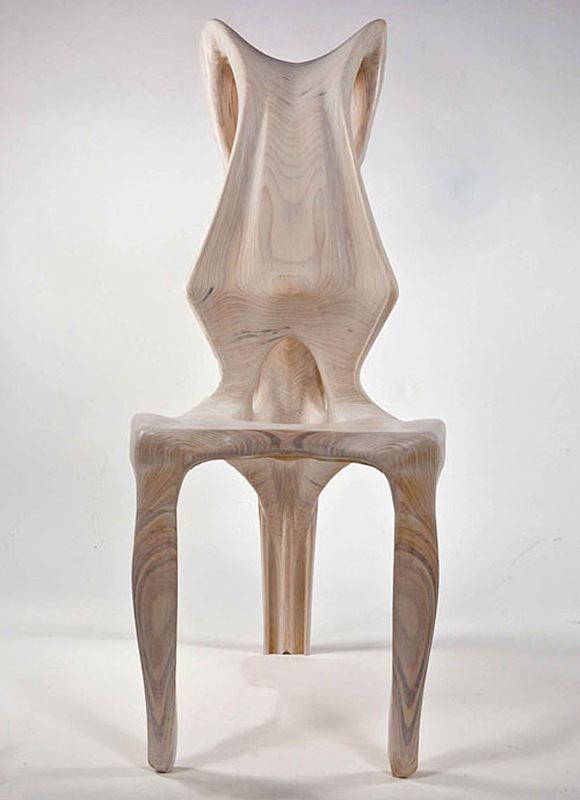 The design separates the surface areas by making the parts that the body touches really smooth and the parts that are on the outside, or away from the skin, are textured or irregular. I have been fascinated for the longest time with reptiles skins and fruits with a tough skin. I find fascinating the duality and poetics that are involved in such complex systems; the way that they perform and look is primarily functional… Some scales may be modified for specialized functions, such as protective spines. 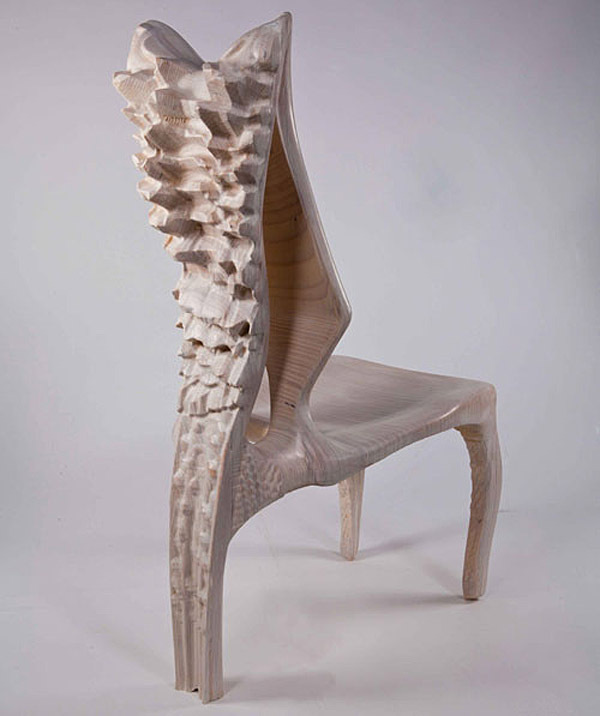 This notion of function vs rough beauty is something that I find highly intriguing, so I started to play with the idea of creating objects closer to the human scale that deal with the same system… The design of Exocarp came about by separating the areas where the body would touch the chair and areas where an extrinsic agent might try to approach the chair. Thus, the areas that the user touches the chair became smooth and comfortable whereas the areas approached by an extrinsic agent became texturized using a script that uses a perlin noise algorithm to generate the irregular texture, where the script to generate the irregular texture increases in amplitude proportionate to the surface area. 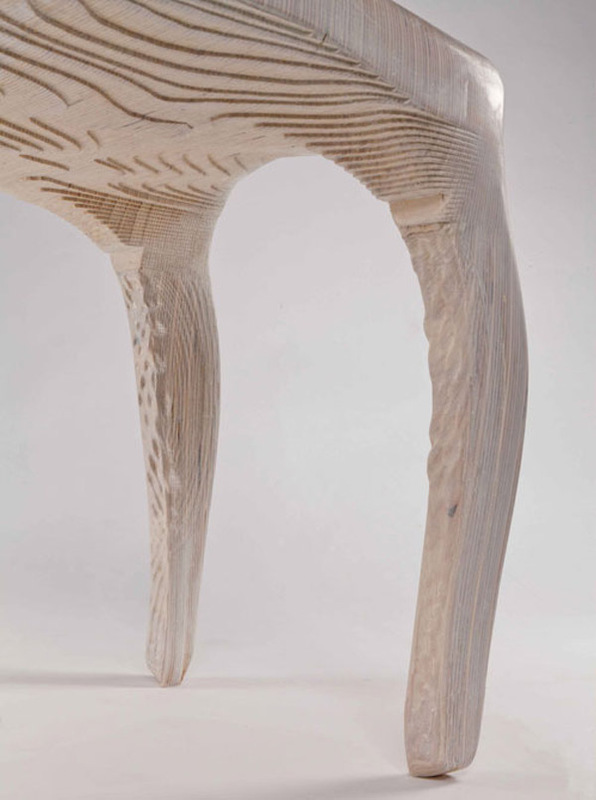 Through the use of birch plywood, a secondary pattern emerged through the variation of grain. 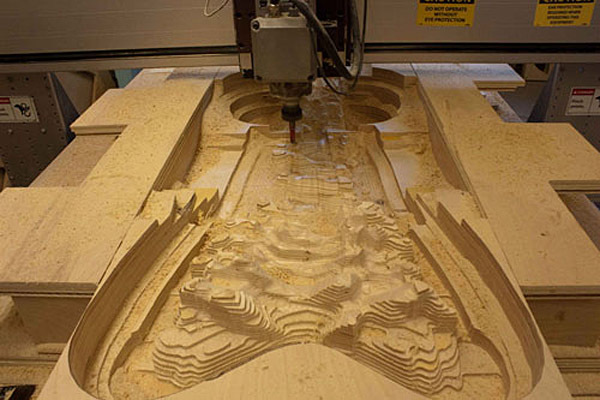 This pattern was not really predicted and it was truly a wonderful surprise that can only be achieved by the use of CNC machines. 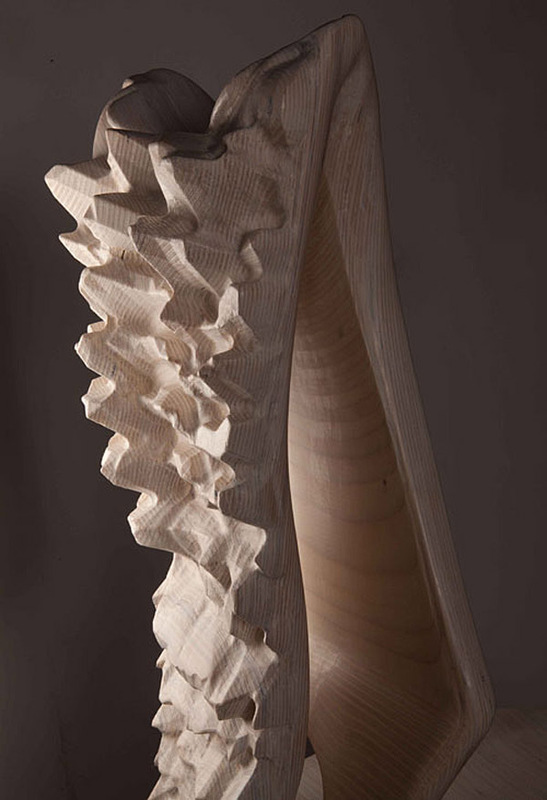 This type of investigation starts to give more of an understanding of material and craftsmanship, as opposed to simply generating an output from a file; by layering the material and paying close attention to detail, a more personal product can be achieved through digital means, as opposed to a generic and utilitarian form. 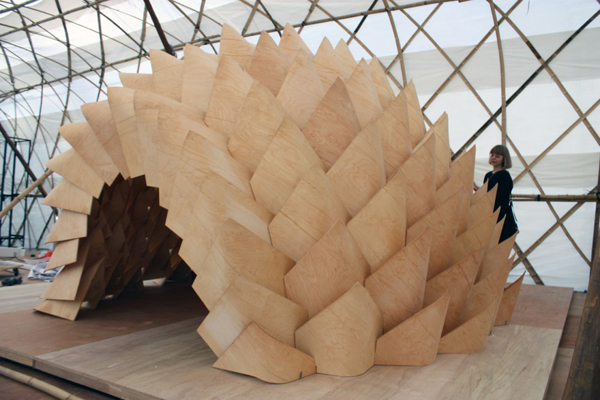 Made from environmentally friendly post-formable plywood, for the 2011-12 Hong Kong & Shenzhen Bi-City Biennale of Urbanism/Architecture, the Dragon Skin Pavilion marries the most up-to-date fabrication technologies with local industries of Hong Kong. 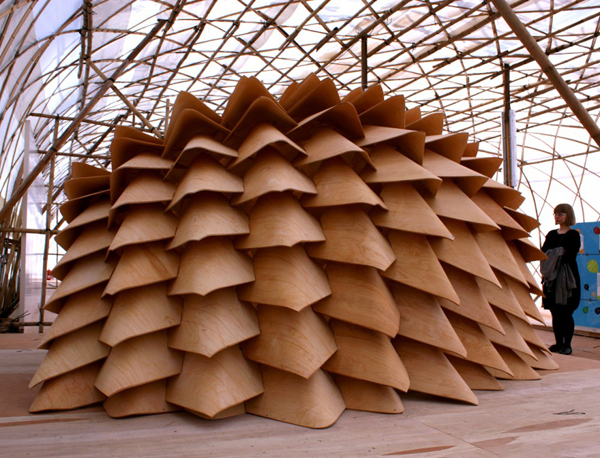 The first version of the structure was designed and built at the Tampere University of Technology by students in the autumn of 2011. The pavilion was built in 8 days. 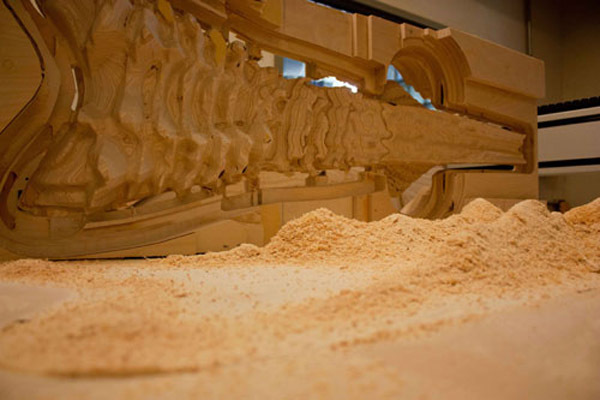 An international team of material and structural engineers have built the second version For the Hong Kong Biennale. 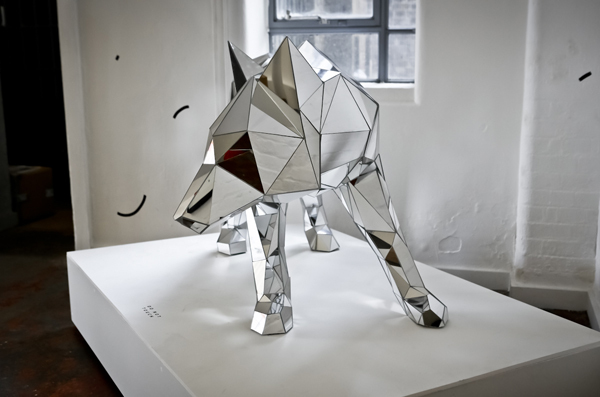 London-based Illustrator and sculptor Arran Gregory’s latest line of creations take the notion of faceted surface and apply that concept to the form of wild animals. 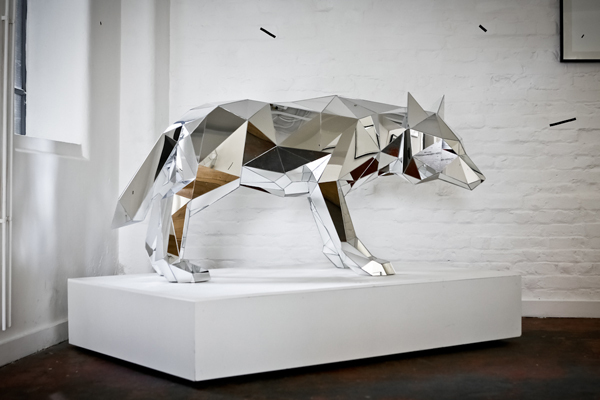 In this case, for his exhibition titled ‘Wolf,’ Gregory has sculpted a wolf out of acrylic resin and mineral stone and applied cut, faceted mirrors to every surface along its body. 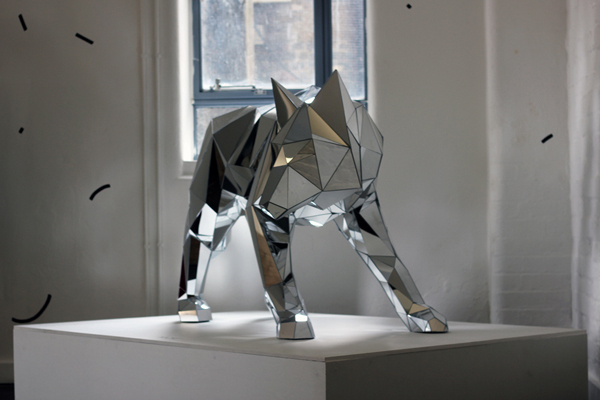 The resulting work is striking, yielding a dramatic form that reflects both light and image.The difficulty of translating the supple, organic lines of a living creature’s body into geometric lines and cut glass only furthers the impact of this aesthetic statement. 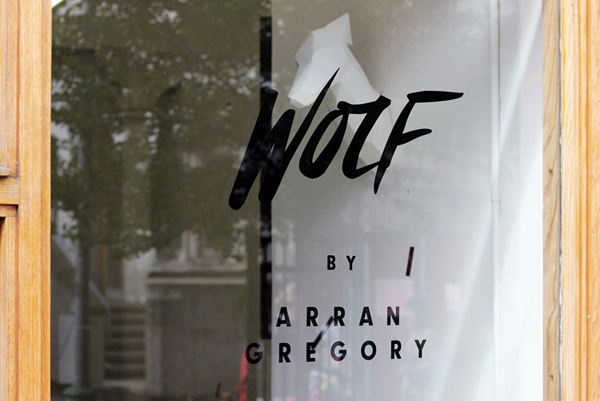 Gregory often works in natural forms like these, typically employing all manner of fauna in his body of work. 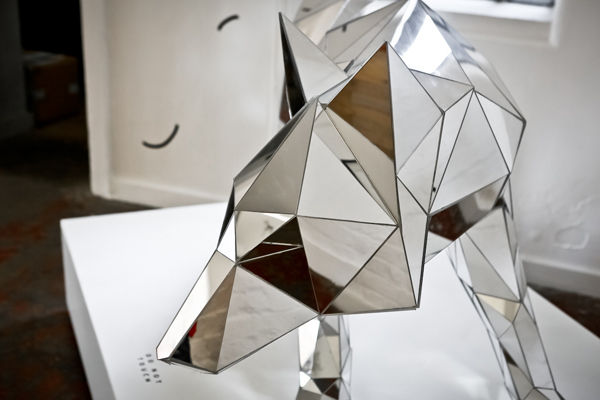 In the past, he has sculpted greyhounds, bears, deer, and a rhinoceros. 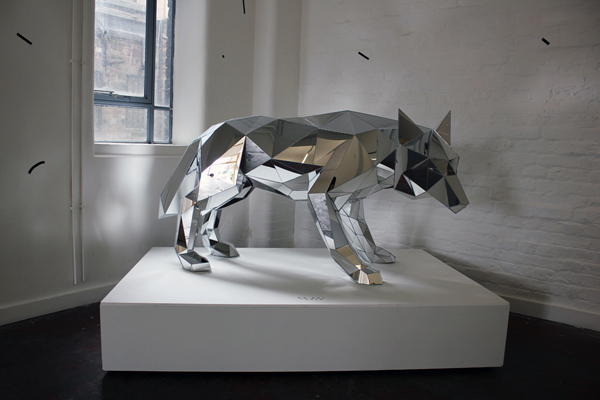 His subjects portray a naturalism of form that is obscured and abstracted through material, sometimes via the faceted glass method, other times left unadorned, showing only the stark white of the cast resin and stone. This work represents a formalized approach to naturalistic form that uses material and color to interpret and abstract that naturalistic form towards artistic ends. 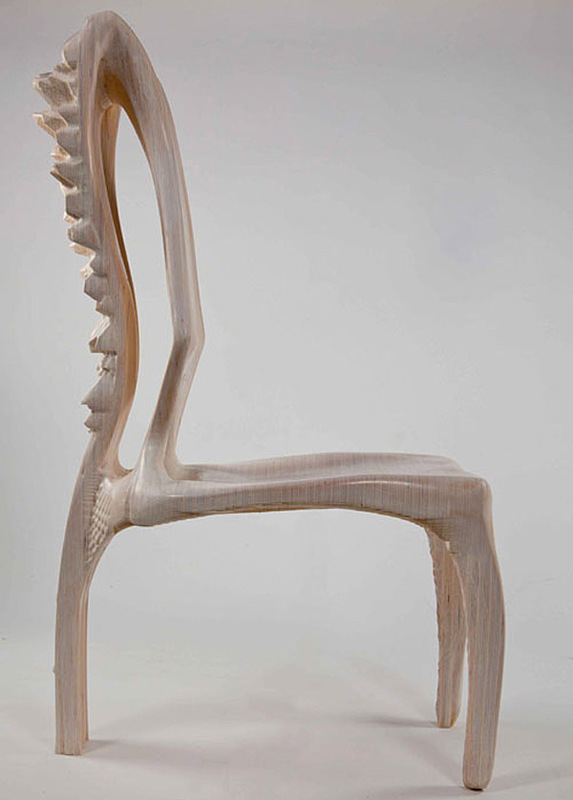 The artist utilizes line and plane to render complex form. 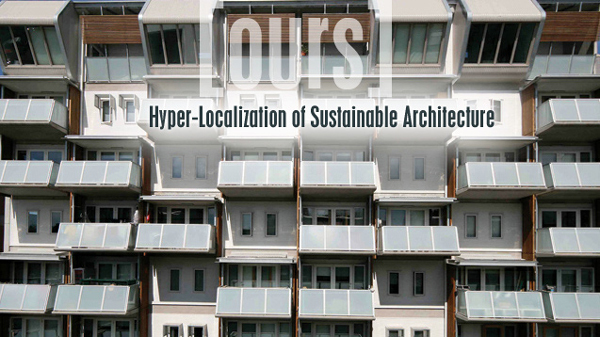 eVolo’s Kickstarter campaign for the book [ours] Hyper Localization of Sustainable Architecture ends at noon on August 31. As the 21st century unfolds new paradigms in architecture are evolving where environmental awareness merges with a new sense of place. [ours] uncovers the best in environmentally astute building design so don’t miss your chance to help support the investigation of the new architectural archetype in three distinct regions and to receive some unique rewards. 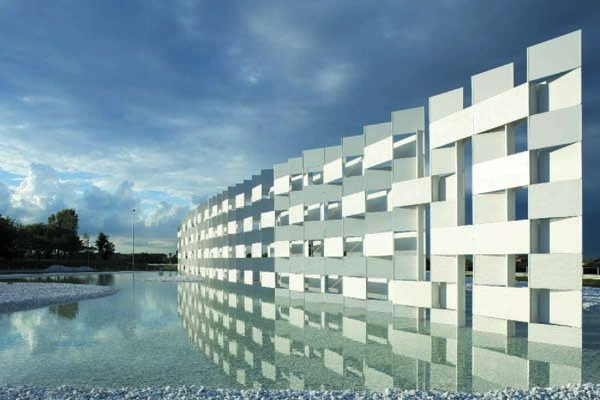 Located in front of the Casalgrande Padana Headquarters, the CCCloud monument is a result of the collaboration between Kengo Kuma Architects, Alfonso Acocella, Luigi Alini, and Casalgrande Padana. The monument is constructed of unglazed ceramic tiles that have been adapted for structural use. 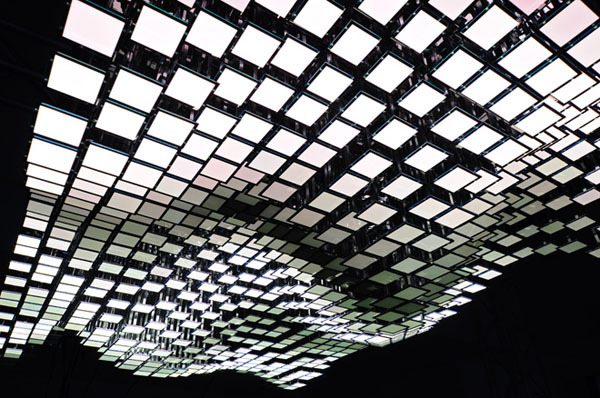 The entire structure is 45 meters long and 12 meters high, with a maximum width of 1.7 meters in the central section. It consists of nine layers of porcelain stoneware tiles 60 x 120 cm that are stacked and articulated through fine threaded rods. Traditionally used as coating, the ceramic tiles are here used as a structural component.